LONDON — Nick Boles was in a hospital bed recovering from a stem-cell transplant to treat his cancer when he learnedof British Prime Minister Theresa May's plans for a surprise election in April 2017. It wasn't exactly the best time for the lawmaker from May's ruling Conservatives to start campaigning. Hairless from his grueling treatment and with the encouragement of local party members and the prime minister's office, Boles went on to secure his seat. "I accept I have failed," Boles said with a shaky voice as he announced his decision in the House of Commons. "I have failed chiefly because my party refuses to compromise." "Nick, don't go. Come on," one of Boles' colleagues pleaded as he left the chamber. 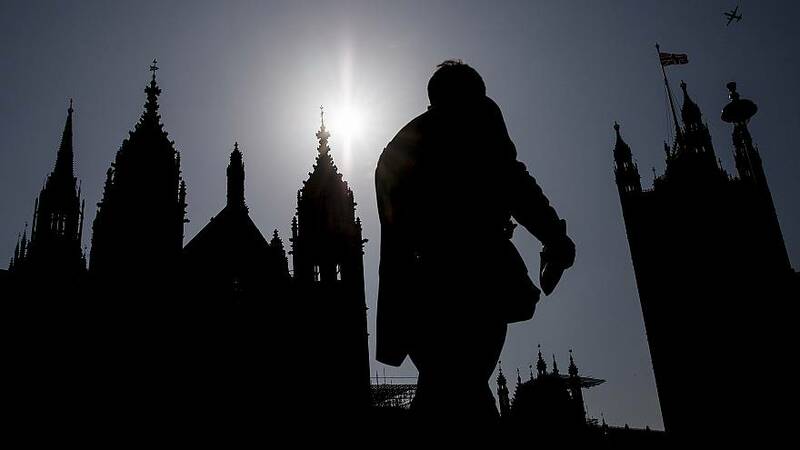 It was an emotional end to an already draining day, which saw lawmakers once again fail to agree on a way forward for Britain's departure from the European Union. Boles wasn't the only one on the verge of tears Monday night. The impasse Britain is facing at the moment is unprecedented. Meanwhile, across the Channel, Europe is watching Britain's Brexit chaoswith increasing frustration. Lawmakers have had the opportunity to vote three timeson the withdrawal agreement that May painstakingly negotiated with the E.U. Each time, they have said "no thanks." Despite its repeated rejections, May's plan may not be dead yet. 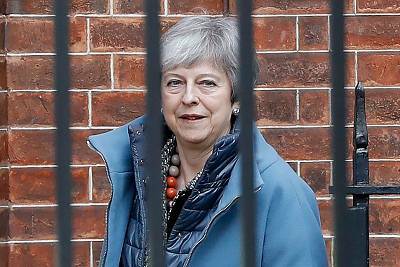 She reportedly wants to bring it back again this week, in the hope of persuading rebel lawmakers within her own party and beyond that, though imperfect, it is better than any alternative. With May's deal in disarray, some lawmakers have come up with their own plans to leave the E.U. while maintaining closer ties with the bloc than her plan. A motion for an even closer future relationship, the option touted by Boles, would keep the trading relationship between the U.K. and E.U. relatively similar to the status quo. It would however, hamper the U.K.'s ability to limit immigration from within the bloc, something many Brexit supporters strongly reject. At the moment, the U.K.'s membership of the E.U. is set to end on April 12, whether there's a divorce agreement in place or not. Yet the inability of Parliament to find a way forward has made this scenario more likely, according to Michel Barnier, the E.U. 's chief Brexit negotiator. The government's own analysis and most experts agree that a "no-deal" Brexit would significantly shrink the economy, compromise security and raise prices, while supermarkets have warned of shortages of fresh produce. In preparation, the state-run National Health Service is stockpiling medicine and reportedly even body bags. However, some of Parliament's more hardline Brexit supporters are actively calling for this cliff-edge scenario. They see these bleak forecasts as scaremongering by an establishment that wants to remain in the E.U. This is the option May's ruling Conservative Party likely dreads. Recent polls show the party either tied or even slightly behind the opposition Labour Party. But a general election could alter the parliamentary arithmetic and open up a path that ends the gridlock. May's majority is shaky — and shrinking with the resignations of four members of her party in the last two months. With Boles' departure, the party holds only 313 out of 650 seats in Parliament. Her government is propped up by a right-wing Northern Irish party, which has so far withheld its support for her withdrawal agreement.